President Rodrigo Duterte is planning to cancel all lease contracts of multinational corporations with vast plantations in the country as he planned to give away more land under his sweeping agrarian reform program. Duterte said that MNCs would also not be allowed to lease any more government property. “The rich multi-nationals who acquired leases on many lands, those leases have expired. If they haven’t yet, consider it cancelled because your lands are now under land reform,” said Duterte in a speech Bukidnon. “There will be no acquisition. You can no longer purchase land from the government and leases have expired because land reform is being implemented. The people will receive lands from the government. It will really be implemented whether you agree with it or not. when I go back home to Manila, please remind me,” he added. Duterte cited his move in Boracay Island where he gave away property to indigenous people so that they could at least benefit from the land of their ancestors. “I’m not angry at the rich. But I’ve already told you that I am for the people. Listen to me. My order to the DAR (Department of Agrarian Reform), since I still have three years remaining, is to give away all the lands to the people. That is what I intend to do,” he said. Duterte said he was ready for any legal repercussions from the MNCs who were not likely to stand idle and give up their lucrative land deals. “So what if they say that they lost a huge investment? I don’t care. We have to follow the law. If they say, ‘We have invested 100 million’, I’m sorry. I’m sad that you lose money.But there is a law which says that a land reform shall benefit the agricultural tenant and that it has to be given to them,” said Duterte. “That’s a law. There is nothing that I can do to change that. And if I don’t do that, I would look silly, like I’m trying to be a hero of the people but isn’t even able to achieve anything. That’s the truth,” he added. He said he would not condone any deal where the peasants would be given just a fraction of the vast landholdings of MNCs. “How many do you think they earn from plantations? A Governor said that about 150 to 200,000… And give 12,000 to the tenant of the land that you are renting. But that’s a difficult setup and I will not accept it. I cannot in conscience,” he said. “The rule as of now is if there is a good flatland owned by government… Most of the lands are intended for military camps, so those will not be given away. 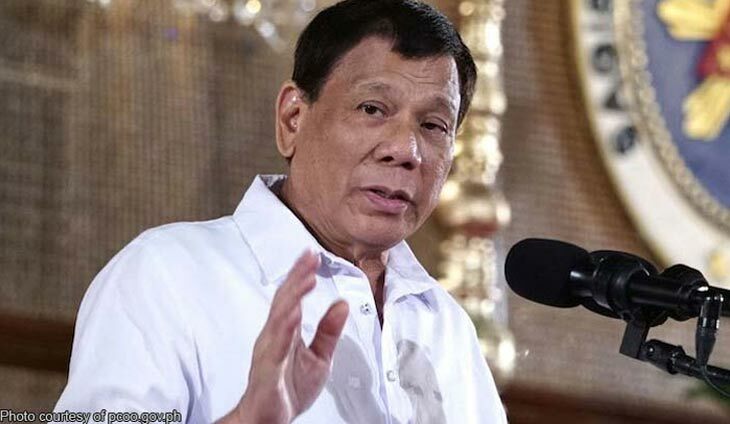 We won’t give away the lands that we need,” said Duterte to clarify which government land he intended to keep and give away. Duterte threatens to fire entire MWSS top brass filled with abogados: Maraming engineer diyan na mas marunong!